The Index continues forming double zigzag pattern inside wave . 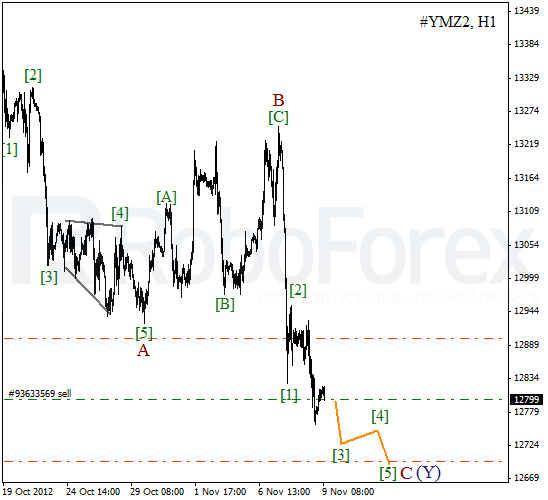 Currently the instrument is finishing zigzag pattern inside wave (Y), but the bears may yet move the price about 100 pips lower. We can’t exclude a possibility that the price may reach the level of 12700 on Friday. 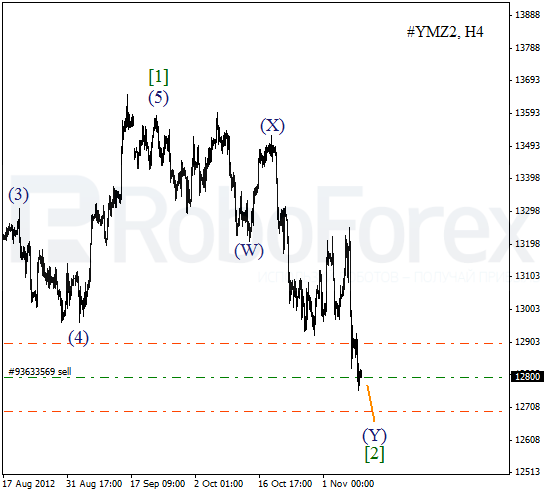 As we can see at the H1 chart, after completing flat pattern inside wave B, the market started moving downwards again. At the moment the price is forming a descending impulse inside wave C. On the minor wave level the Index is forming the third wave. Most likely, the instrument will continue falling down in the nearest future. 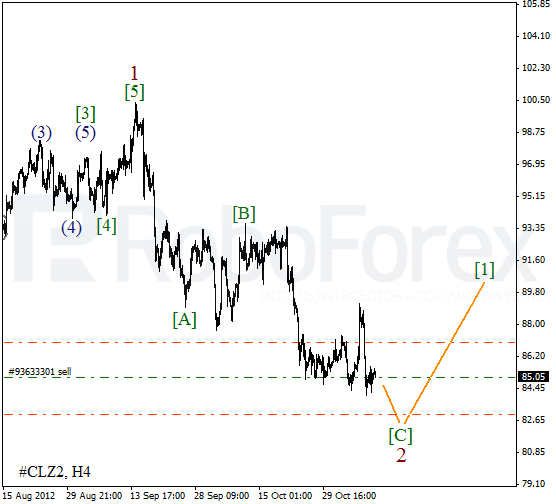 Oil may continue a corrective movement. Wave 2 is taking the form of a classic zigzag pattern. On the minor wave level the price is forming a descending impulse inside wave [C]. Most likely, the bears will reach several new local minimums during the next several days and reach the level of $83 per barrel of Light Sweet. More detailed wave structure is shown on the H1 chart. After finishing divergent horizontal triangle pattern inside the fourth wave, the price started forming diagonal triangle pattern inside wave (5) of [C]. 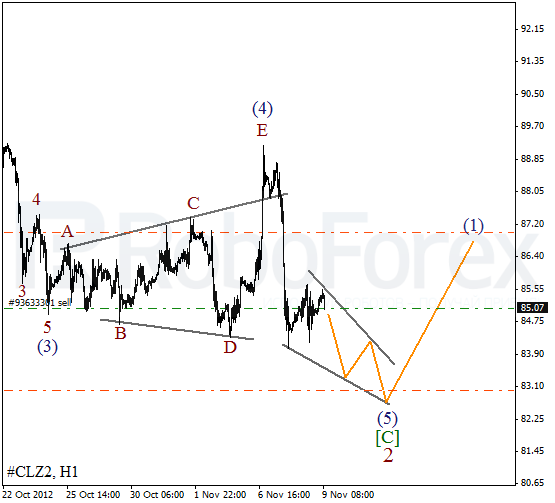 Most likely, Oil will continue moving downwards during Friday.